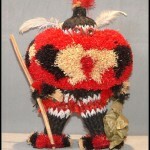 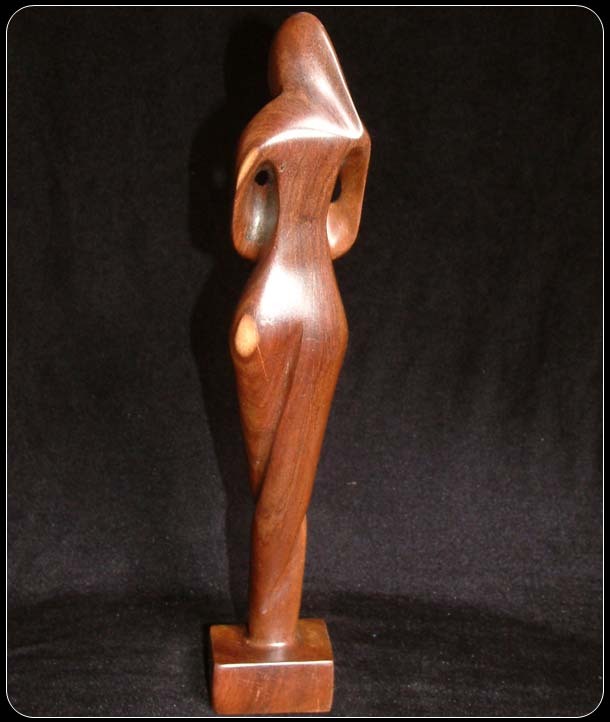 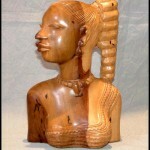 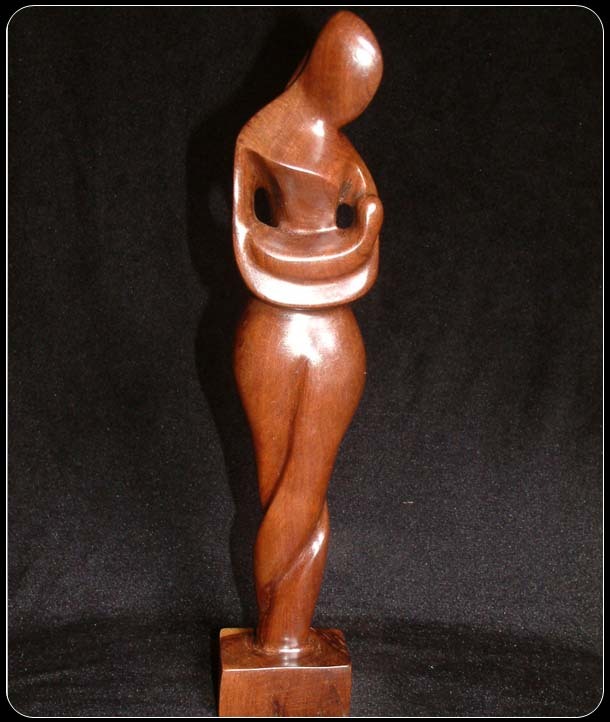 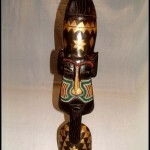 This charming mother and child sculpture has been crafted out of Lagos ebony. 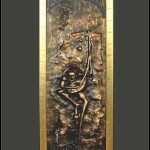 It has a two tone effect which can be seen at the back of the sculpture. The lustre of the ebony adds to the appeal of this modern mother and child sculpture.